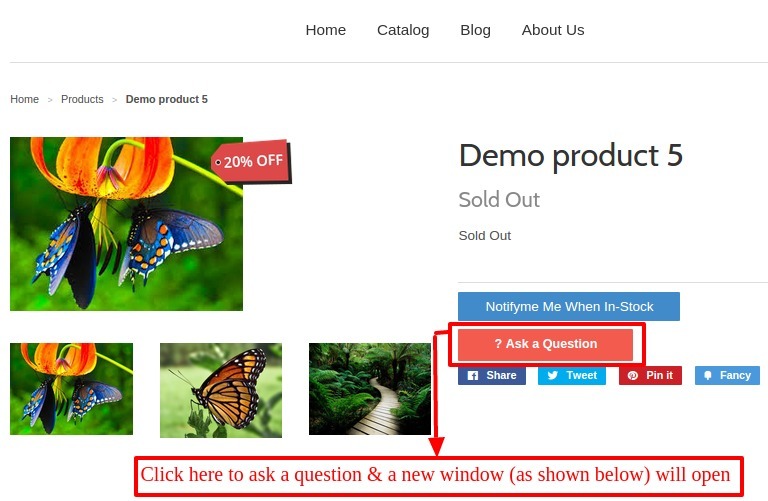 Now your customers can ask questions about the product from you even before purchasing the product. This app will let your buyers ask questions or any query related to the product and the Admin/Merchant will reply back with an appropriate solution; thus making the shopping experience hassle-free, reliable and trustworthy. When Merchant resolves the query of the customer by answering the same, he builds strong trust and brand loyalty. This app also lets Customer & Merchant both to view the conversation history from their respective ends. Let your buyers ask questions related to the product. The merchant can view conversation history from the back end. The customer can view conversation history from their account. Customers experiencing hassle-free, reliable and trustworthy shopping. The merchant can configure the mail subject and mail content from email configuration. Admin can customize form labels as per the requirement. 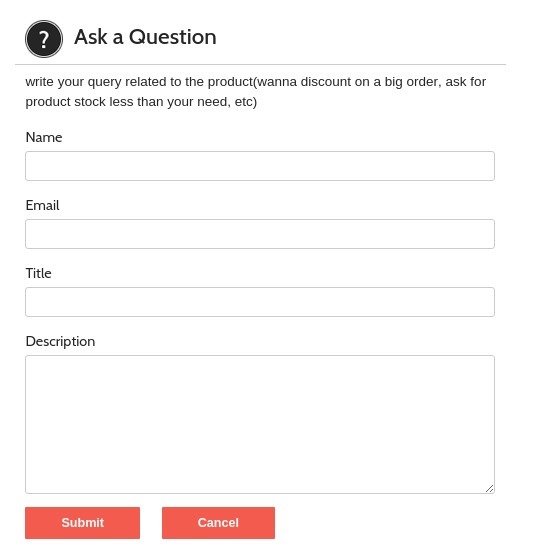 Ask a Question app for Shopify: Installation and Configuration. After the installation, you need to buy the monthly plan available for this app. Once the payment is done for the plan, the App will be listed in the apps section. After clicking on the app you will be redirected to the Home Page of the store. You can configure the application settings as per the requirements like setting up Label Configuration or configuring the display options on the product description page and many more is done from here. The domain name or Shops URL along with email id of the Admin/Store Owner on which admin wants to receive the emails and shop logo is configured here in general configuration. 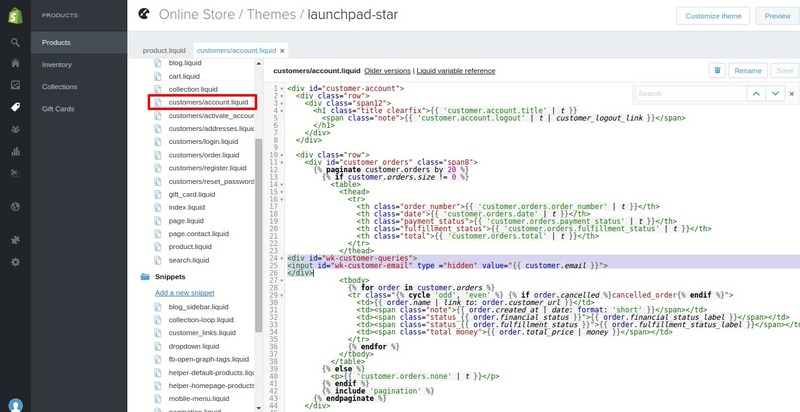 You can configure the content of labels as per the requirements like setting up the ‘Ask Button Content’ or ‘Name Label’and many more for the product description page. Name Label: Enter content you want to be displayed on NAME LABEL at the Store. Email Label: Enter content you want to be displayed on EMAIL LABEL at the Store. Title Label: Enter content you want to be displayed on Title LABEL at the Store. 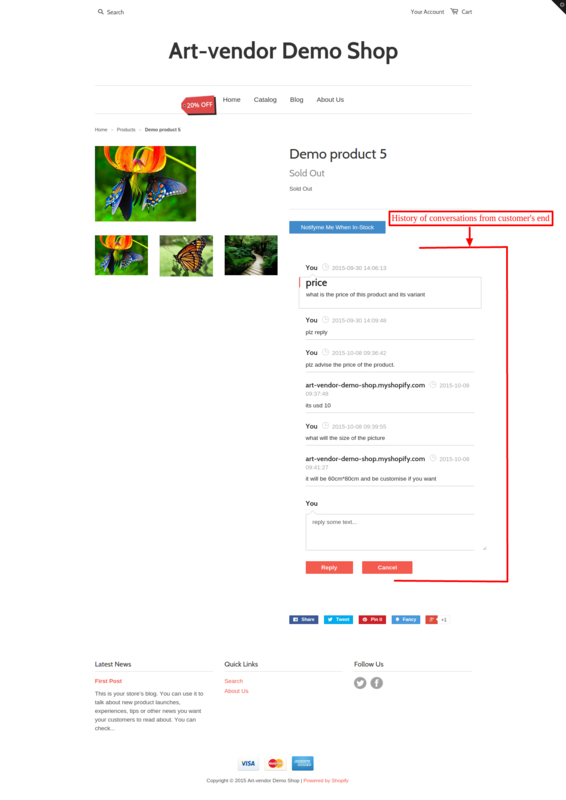 Submit Button Content: Enter content you want to be displayed on SUBMIT BUTTON at the Store. Required Field Error Message: Enter the Message you want to be displayed when required fields are left blank. Email Validation Message: Enter the Message you want to be displayed for validating entered email id. Heading: Enter the content of your question. Sub Heading: Enter the detailed description of the question. Cancel Button Content: Enter content you want to be displayed on the CANCEL button. Save all the changes by clicking the ‘SAVE’ button at the end of the page. You can configure the mail configuration as per the requirements like entering the subject of the mail, entering the content of the mail, sending a reply to the customer or saving it for later. Admin will get to know about the new questions asked from New Question section at the right-hand side of the app. 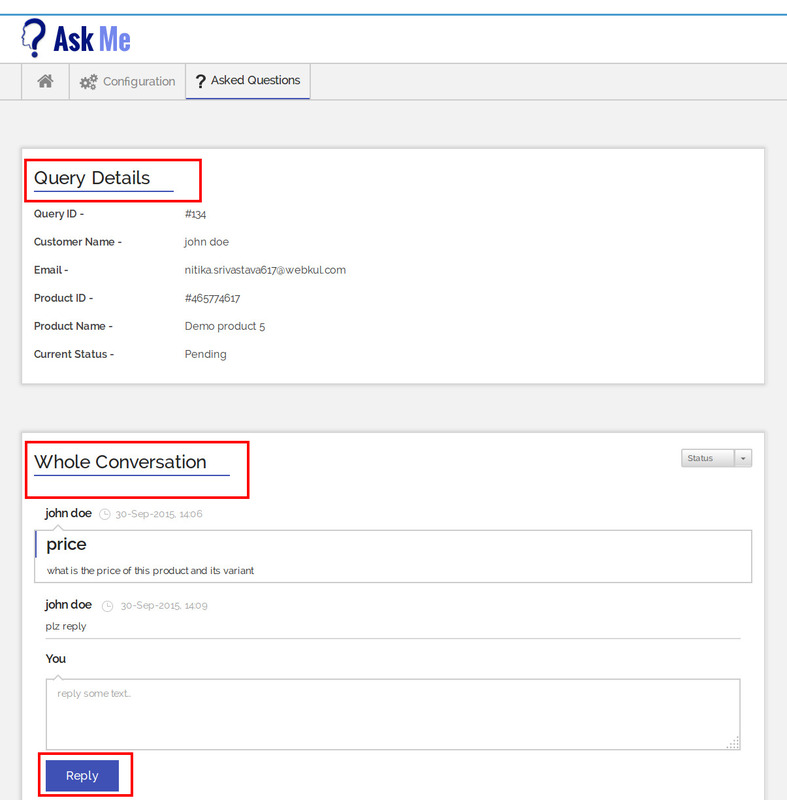 The number of new questions asked will also get displayed on the NEW QUESTION Button itself, which will make the admin immediately aware of the new questions from the customers. You have to Copy the below-given code and paste it to product.liquid & Customers/account.liquid file respectively. Click on Customize Theme button on the top right. Select Edit HTML/CSS button from the Theme Option on Top Left. 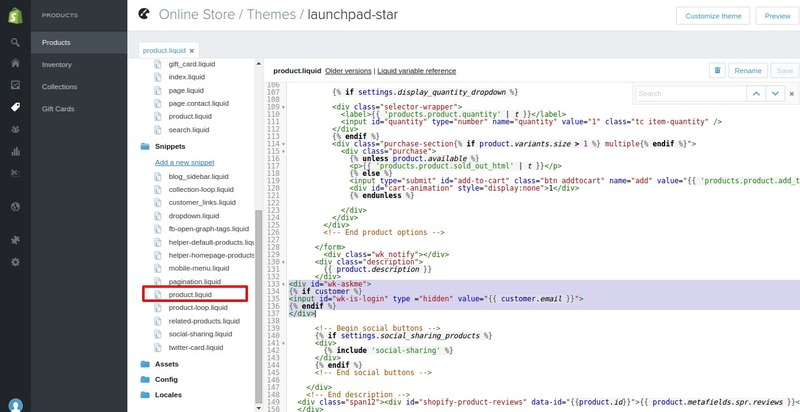 Now the Ask a Question button will be visible on the product description page. The merchant can view the history of all the questions asked by the customer regarding any product on the store by viewing Asked Questions. This section gives the idea about the most asked questions and other frequent product related queries pre & post purchase of the product to the merchant. 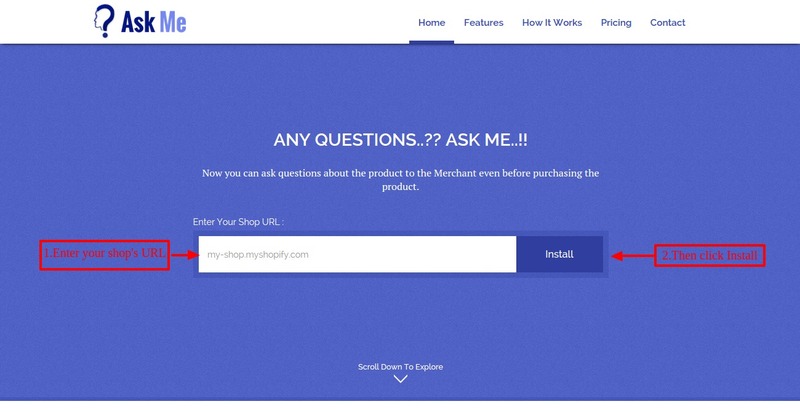 The Customer can view the history of all the questions asked from the merchant regarding any product on the store by clicking on Ask a question. This is how the ‘ASK ME’ app works. 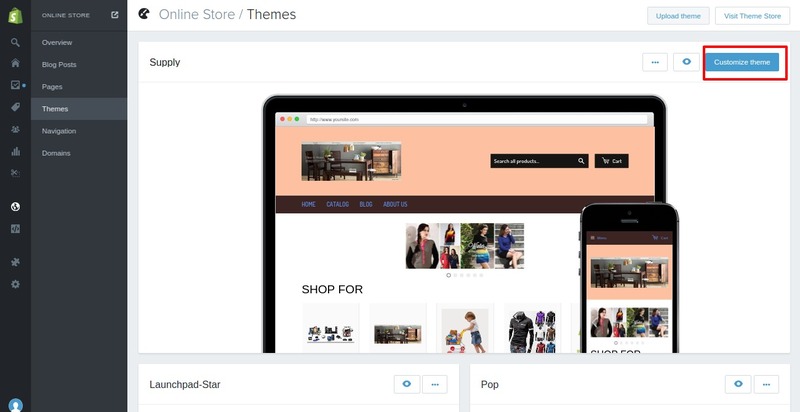 Click here https://store.webkul.com/Shopify-Ask-Me.html to get the app.